A first Sukhoi Superjet 100 (SSJ 100) will be delivered to Thailand by mid-September at the latest, the president of Sukhoi Civil Aircraft (SCAC) Ilya Tarasenko told to Russian Aviation Insider. The Air Force of the country ordered two aircraft of this type in the VIP version in 2013. The Royal Thai Air Force is not the first operator of SSJ 100 aircraft in the VIP version; Russia’s RusJet company operates one VIP class aircraft of this type in the interest of Russian arms export agency Rosoboronexport, while another one is operated by a Swiss-based bizav operator Comlux. The SCAC representative also said that a special business version, Sukhoi Business Jet (SBJ), fitted with additional fuel tanks and integral airstairs (reportedly, its assembly was begun in October 2015), is expected to be certified in 2016. The baseline range of the aircraft is 6000 km, but the company is already working on increasing it to 8000 km. According to Ilya Tarasenko, the SCAC plans to produce 30 SSJ 100s in 2016. 17 aircraft of this type were manufactured in 2015. 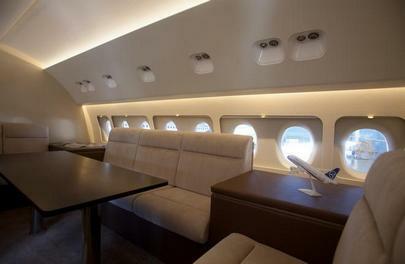 The production peak was reached in 2014, when 37 SSJ 100s were built.